Well, unless your narrator happens to be Toby Maguire, you can set his mind at ease by telling him that green screen technology doesn't necessarily entail multi-million-dollar stunts and “emoting” in front of special-effects monsters. When this technology first became widely available, about 10 years ago, many commercial producers and directors associated it with big-budget Hollywood special-effects extravaganzas. Today, it's almost as ordinary as deep-focus lenses and artsy transitional shots. A narrator or an actor doesn't necessarily have to be hooked up to wires or suspended from a crane in order to work with a green screen. For most TV commercials, all that's involved is a person delivering his spiel in front of the camera, while standing in front of the green screen. The director will prep him beforehand about what will eventually be projected on that screen and will make sure that the narration matches up with what's transpiring in the background. The process isn't at all complicated, and the shoot doesn't take any more time than a “live” shoot where the actor or narrator interacts with other real-life individuals. 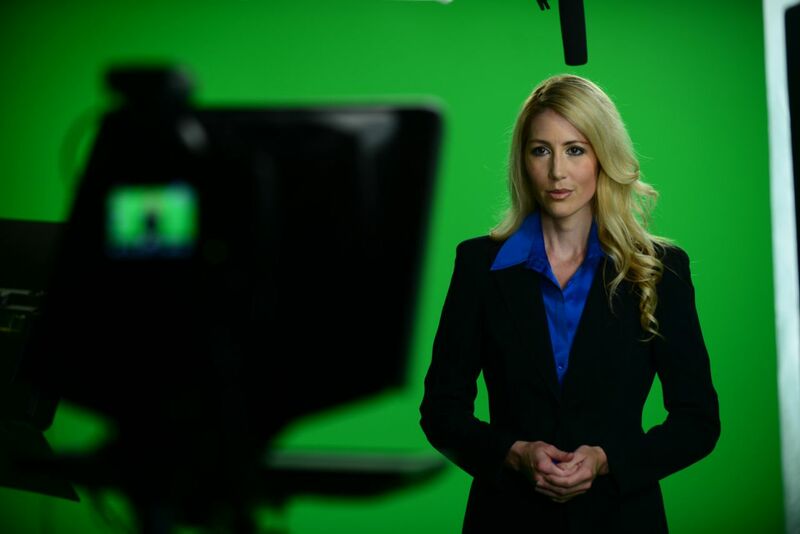 Today, green-screen technology is so common that many of the TV commercials you see, which you may have assumed were shot live on location, were actually accomplished using this technology. Questions? Call the green screen professionals at Gearshift (703-962-1270) to learn how we can make this technology work for you!